One of the most southern ski resorts in the east, Cataloochee Ski Area boasts the most modern snowmaking available with 100% of the slopes covered by man-made snow. That ability extends the ski season from November through March. 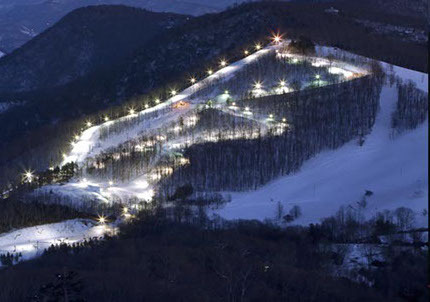 The area is known as a beginners paradise with multiple slopes set aside for novice and intermediate skiers. From the summit of Moody Top, the ski area offers spectacular views of the surrounding mountains and peaks out at over a mile high in elevation. Tubing typically opens in mid-December and continues through the first weekend in March. Sessions are one hour and 45 minutes long and run every two hours. There is a 42″ minimum height requirement. Wee Bowl Snowplay Area, located at Tube World, is for children who aren’t quite tall enough to meet the height requirements for tubing on the larger hill. Wee Bowl is open on a limited basis as weather and snow making allows.